I am in LOVE. This is my first card using the Painted Harvest stamp set. I've been waiting to use it....why?! I don't even know. I will be sharing my creations with this stamp set all week. I really like the color combination I used on this card. 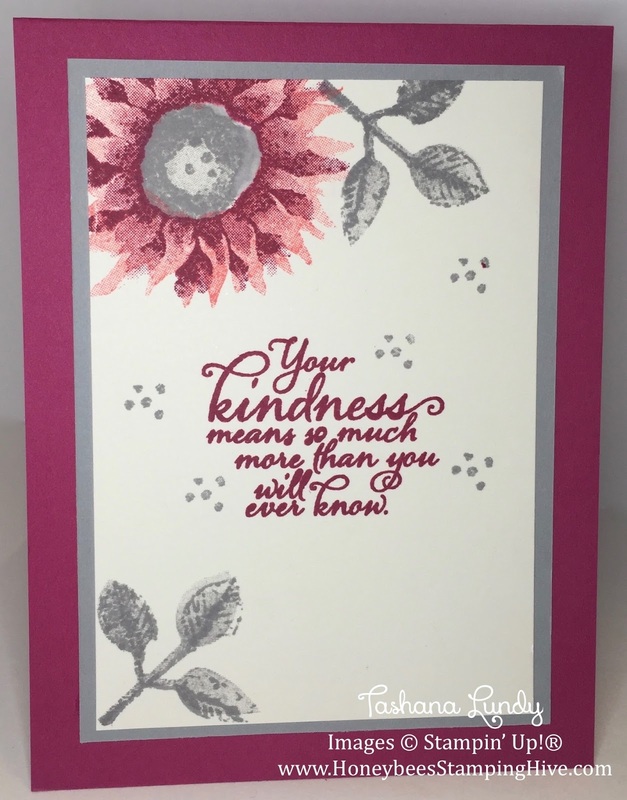 And the Glitter Enamel Dots just adds that pop this card needed.